Home / Manic Mondays! • Pretty In Pinky / Manic Monday! Pinky Says, “Dishes Are Done Man!” After The Don’t Tell Mom, The Babysitter’s Dead Mini Reunion! Kimmy Robertson! 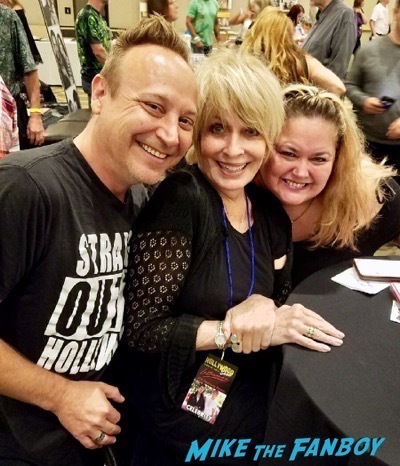 Joanna Cassidy! Keith Coogan! Manic Monday! Pinky Says, “Dishes Are Done Man!” After The Don’t Tell Mom, The Babysitter’s Dead Mini Reunion! Kimmy Robertson! 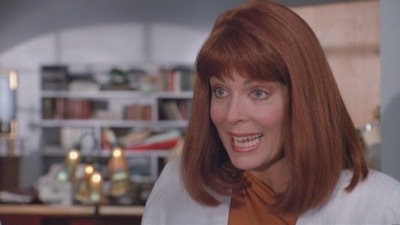 Joanna Cassidy! Keith Coogan! It’s Manic Monday and this monday we have an awesome Don’t Tell Mom, The Babysitter’s Dead reunion! I love seeing casts come together! It’s awesome! 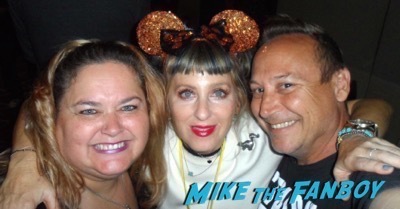 Pinky and Keith met up with Joanna Cassidy and Kimmy Robertson this past weekend and their photos are super cute! and it’s not often you can get three people from the same movie in the same room together (unless it’s some sort of planned anniversary reunion). Despite their busy tables, we were able to get all three of them together for some picture fun! It was so great seeing both Joanna (who said, “My kids!” when we saw her) and Kimmy again as we adore them both tremendously. Such a fun day! We even took some fun videos (which I’ve posted over on my Instagram @pinkylovejoycoogan). Enjoy! 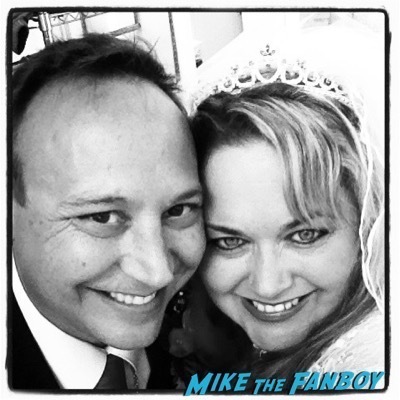 Also, I wanted to take a moment to wish my awesome husband a happy 4th wedding anniversary this week. Love you so much, babe! Happy anniversary! For additional pink fodder, please visit www.pinkylovejoy.com or follow me on Twitter @pinkylovejoy and Instagram @pinkylovejoycoogan. As always, have a pink day! Pinky Lovejoy-Coogan is a celebrity enthusiast who enjoys long walks on the beach, Piña coladas, flamingos, and Hello Kitty. She's rarely met a celebrity she didn't like (and when she doesn't, trust us, you'll hear about it). 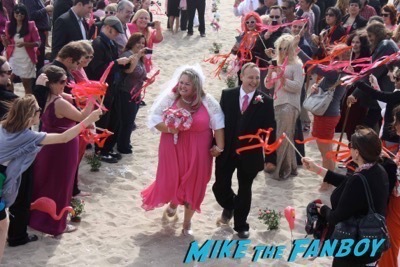 She is married to the love of her life, Keith Coogan, and they are currently enjoying their Happily Ever After. Manic Monday! Pinky Says, “Hi, Puddin'” After Meeting Margot Robbie! I,Tonya Goodness! Pretty In Pinky! Mother’s Day Edition! 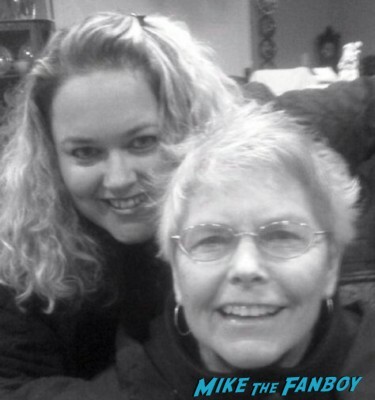 Thanking Mom For Making Pinky The Fangirl That She Is! With Pinky’s First Celebrity Photo! Jason Bateman! Sean Astin! And More! Sincerely Yours… Manic Tuesday! Pinky Meets Breakfast Club And John Hughes Star John Kapelos! Manic Mondays! 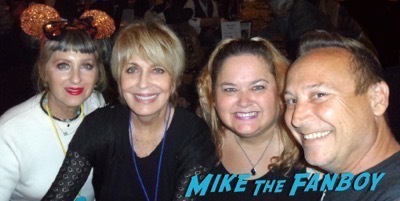 Looking Back At That Fateful Trip When The Minnow Was Lost With Dawn Wells! AKA Mary Ann For Gilligan’s Island! !